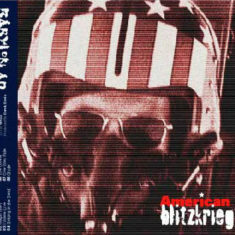 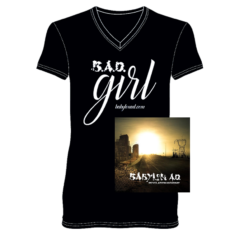 B.A.D. 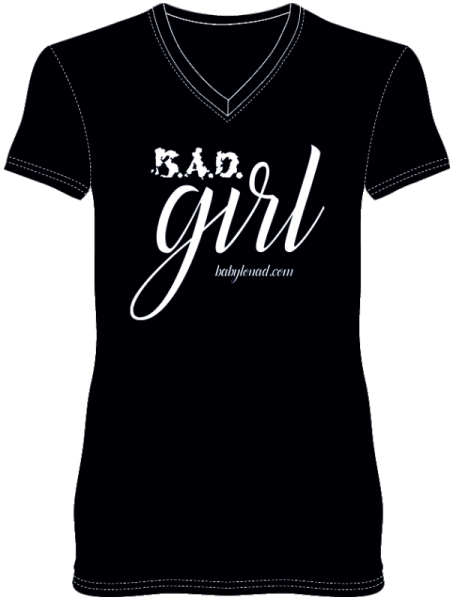 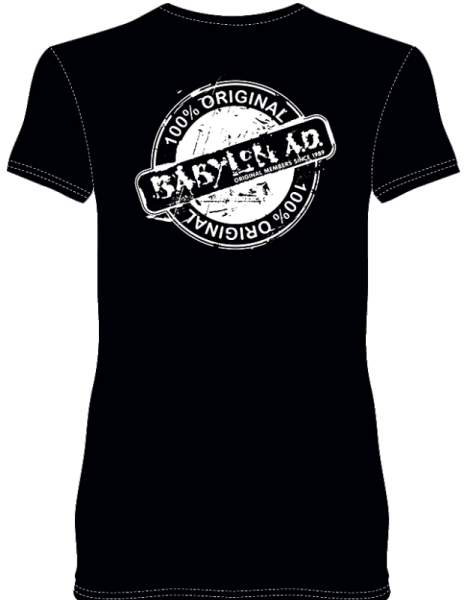 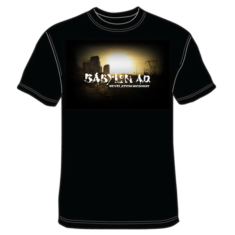 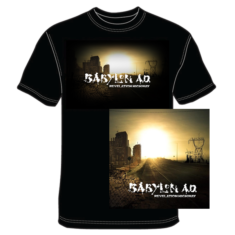 GIRL V-Neck T-Shirt - Babylon A.D.
Hey all you ladies we have a new shirt just for you! 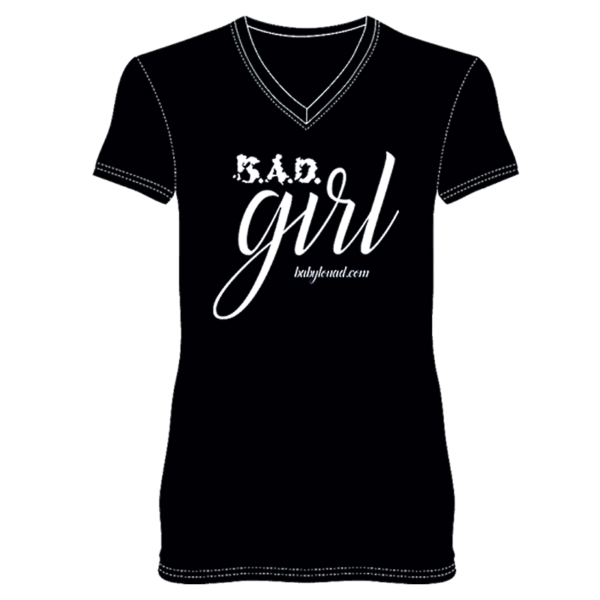 Let everyone know what a B.A.D. 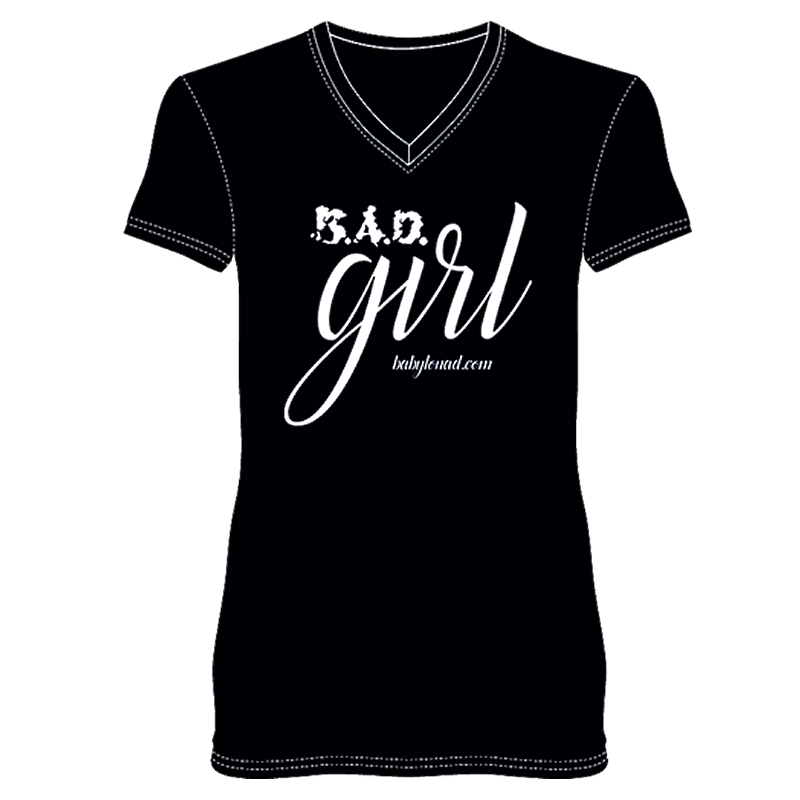 Girl you are in our fitted v-neck black t-shirt featuring “100% Original” graphic on the back.